Feature: Top 5 Most Bizarre Characters In Zelda! 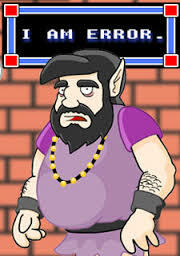 #5: Error Error is an odd npc in The Legend of Zelda II: The Adventure of Link that just says "I am error" whether this is meant to be funny or is due to a coding error is unknown, but this character is strange enough to make #5 on our list! 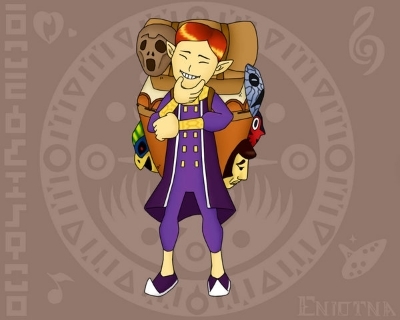 #4: The Happy Mask Salesman This guy plays a vital role in the stories of Ocarina of Time and Majora's Mask and he is one creepy OoT character that manages to say something creepy every time he speaks, but his role in Majora's Mask was even more dark! His creepy vibes and manner of speaking earns him #4 on our list! 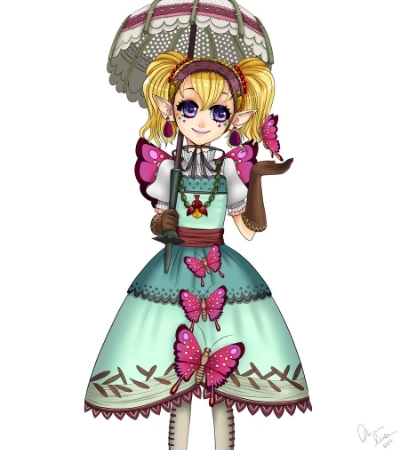 #3: Agitha Agitha's love for insects, and her creepy discussions, as well as weird insect puns makes her a very odd character. In fact many other npc's say some rather disturbing things about Agitha which is why this Twilight Princess character has made the list of bizarre Zelda characters! 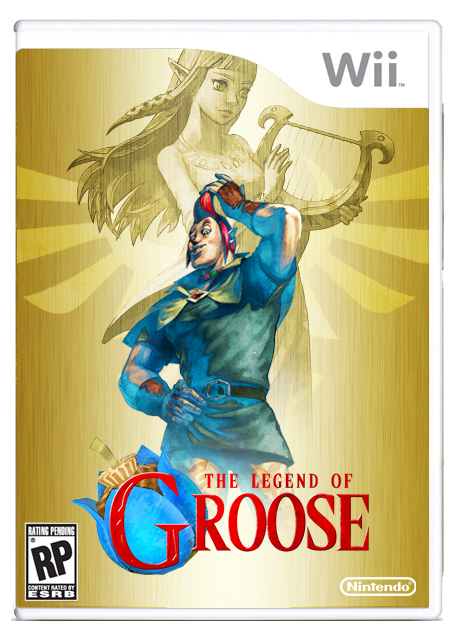 #2: Groose Groose looks like a dork with his red slicked back hair with a long spike and his rather colorful clothing, couple that with his selfish attitude and his extremely creepy obsession with Zelda in Skyward Sword and you have a candidate for this list, however it's thanks to some of the scenes later in the game and Groose's fate that we won't spoil that make Groose #2 on the list! #1: Tingle You all had to know that this was coming! 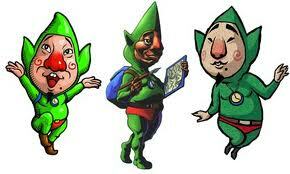 Tingle is the very epitome of everything that is bizarre in the series. Between his outfit that looks like link's green tunic, albeit with red speedo's on the outside of the outfit and his desire to be a forest fairy despite being middle-aged, not to mention his wacky personality and you have the makings of a truly bizarre character! These reasons and more are why Tingle is the most bizarre character on this list! Well there you have it this is our top 5 most bizarre Zelda characters, from bug loving girls to a creepy salesman, and a certain fairy loving man we have showed you some of the strangest characters in this long-running series! Did your choices make the list? Let us know in the comments! Re: Feature: Top 5 Most Bizarre Characters In Zelda! Oh, come on! No Skull Kid?! I still dont get everyone's fascination with Error, that just the dudes name. Later on in the game another guy tells you to go talk to Error for something that I cant remember. Well you meet Error way earlier in the game so I think that was the programmers way of telling you who he was so that way when you were told later to see him you would remember him. @Tasuki wrote: I still dont get everyone's fascination with Error, that just the dudes name. Later on in the game another guy tells you to go talk to Error for something that I cant remember. Well you meet Error way earlier in the game so I think that was the programmers way of telling you who he was so that way when you were told later to see him you would remember him. I loved this article Rukiafan! I know the origin of Error! There are two characters in The Adventure of Link named after computer glitches: the (in)famous Error and another character named Bagu (the Japanese word for "bug"). So they are named Error and Bug, but neither of them is actually a glitch as they were intentionally put into the game by the developers! What about the moon in Majora's Mask?! Good list. @Pokefreak I agree with you about the moon from Majora's Mask.